Get excited readers, Bloomingdales is currently running a promotion allowing customers to get an extra 25 percent off an array of clearance sale items in the women’s apparel, shoes, and handbag departments. Items with discount are indicated in a black text that states, Extra 25 percent off’ under the product image.’ Discount will be applied in your shopping cart. It’s rare that designers like Burberry, Lafayette 148 New York and The Kooples have an extra 25 percent off already applied sale prices. So, go ahead, pick up that luxurious Burberry blazer for the holiday season or stock up on your favorite cashmere sweaters. We have conducted our research and compiled a list of items included under the promotion that we think you will love. Prices not reflective of extra 25 percent off discount. 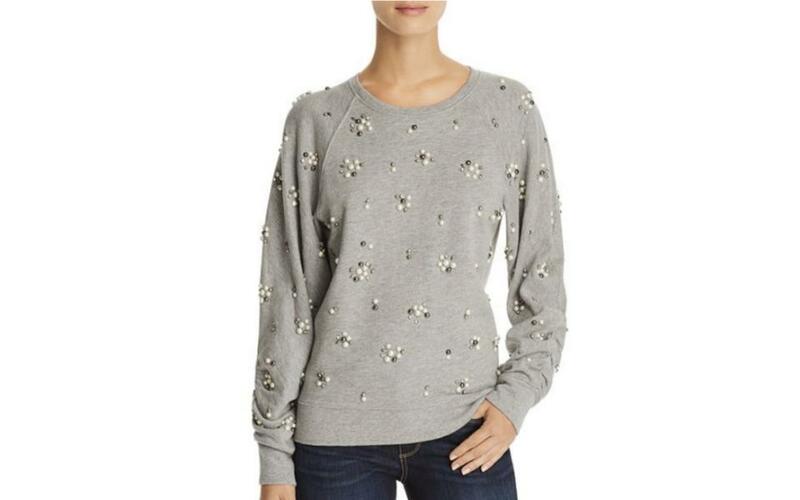 Add a little sparkle to your favorite pair of denim jeans with this embellished sweatshirt from Joie. The sweatshirt is composed of a cotton/viscose blend and features raglan sleeves, a crewneck, rhinestone and bead embellishments, and a relaxed silhouette. The sweatshirt can also be paired with leather pants and ankle boots for your next holiday party. 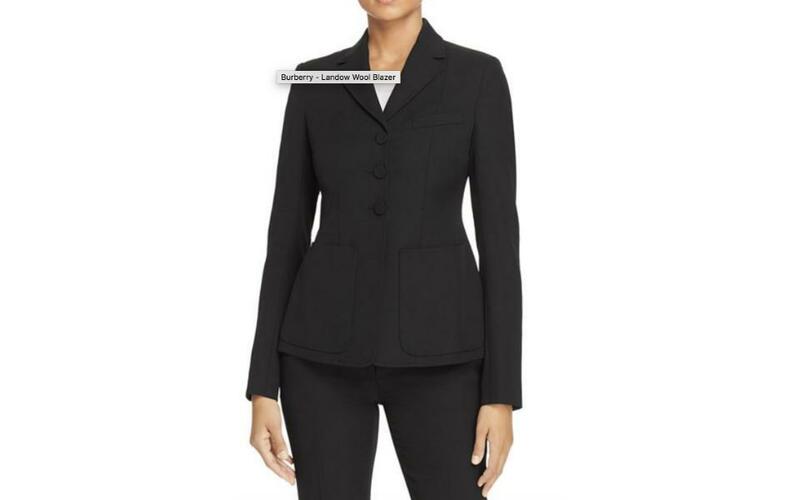 A Burberry blazer at almost 60 percent off the original retail price? Practically irresistible. The blazer is composed of wool and features shoulder padding, long sleeves, waist patch pockets, short notched lapels, and button closure. Wear this blazer with black trousers for an office-appropriate look or add sequin pants and stiletto heels for a night out. The blazer runs slightly small so you may want to order up a size. The standard ankle pant gets an upgrade with rhinestone embellishment. 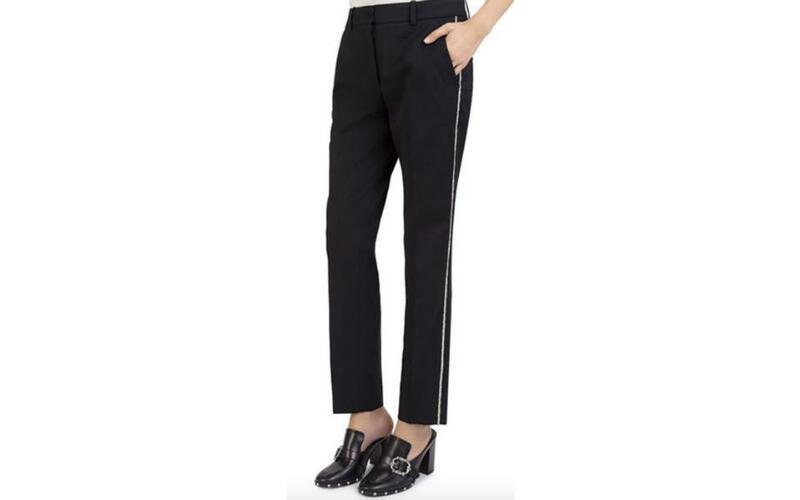 This pant by The Kooples is composed of a wool/elastane blend and features back slit pockets, zip fly with hook and eye closure, rhinestone trim at the sides, and a straight silhouette. This pant is party ready and will look chic with a camisole, blazer and statement shoes to tie together the look. When I got my first job at Taco Bell, I didn’t plan on staying for more than a few months. Little did I know that, two years later, I would be promoted to Assistant Manager, go to Japan with a team from Taco Bell headquarters and win a $25,000 scholarship to pursue my passion through education. My freshman year of high school, I was required to take a language. I was interested in Japanese, but my dad convinced me to sign up for Spanish. My first day of school, I sat in Spanish class, looking across the hall longingly at the Japanese class. The students were having fun, and the teacher seemed really engaging. Later that day, I transferred into Japanese. My passion for the Japanese language and culture quickly took off. I was fascinated and spent days and nights studying to become fluent and understand their social customs. My teacher told me about an immersion trip to Japan she led every few years. I was thrilled about the possibility of seeing what I had been studying come to life, that is, until she told me the cost. I would need $6,000 to go on the trip. I was really discouraged, because I didn’t have the money, but my teacher’s enthusiasm made me determined to find a way. I began the job hunt to help me pay for the trip, and drove all around town applying. Although Taco Bell wasn’t originally on my radar, they offered me a position working the cash register, so I took it. On top of going to school every day and doing homework, I was working numerous hours a week to save money. It was hard, but the people made it easy. I felt truly supported by my managers, who helped me learn the ropes and instilled a positive culture among our team – we all had a lot of fun together. Not to mention, I had my sights set on Japan. A few times a year, the Taco Bell Foundation National Fundraiser would come around. That meant asking customers to donate a dollar to support young people’s educational dreams through the Live Más Scholarship. I had my pitch down, and loved the idea that I was working for a company that cared about people’s education. What I didn’t know, was that I could be one of those people.